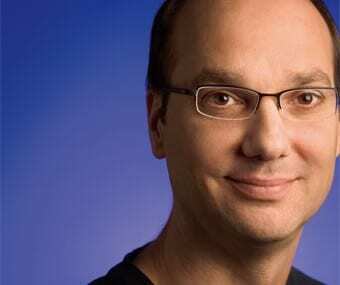 Google tends to get what it wants, and what it wants from Andy Rubin is a smartphone platform that can rival the likes of Symbian and Apple. Rubin’s Android platform has offered an alternative to handset vendors concerned that, by sticking with Symbian, they will effectively be strengthening Nokia, their number one competitor. The Open Handset Alliance, the grouping used to develop the Android platform and enable the creation of the first high profile, overtly open source handsets, boasts an impressive membership list. The world’s leading carriers, silicon vendors, software developers and handset manufacturers have all congregated around Rubin’s platform. Only Nokia is absent. What he lacks now is scale. At the time of writing there are three Android handsets in the market, all from Taiwanese vendor HTC, and all touch-screen based. Rubin has said that the Android platform can function with all interface formats, including keypad and trackball and has promised that a greater variety of handsets are forthcoming. Rubin has the potential for enormous impact on the sector, by changing the balance in the OS options for a range of handset vendors, and by clearing a path that could put Google and its many applications into an awful lot of pockets.